Property Adviser is first of its kind Real estate directory portal, where you will find all projects at one place with the most updated data. All the data is tested and Okayed by our experts. 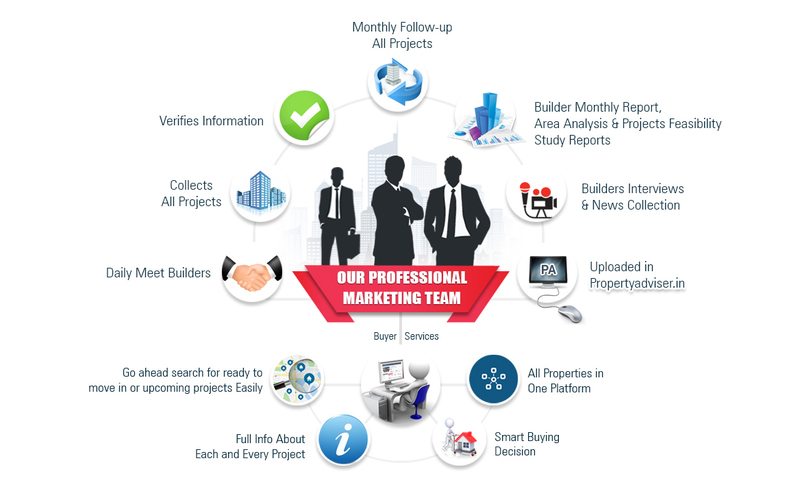 Our platform helps builders in creating visibility of the projects for FREE till the project is sold-out completely. Corporate experience, Real estate exposure, and stock holders’ feedback have come together for the creation of real estate information directory which can be accessed by everyone with interest in the property market. " As a Seller, you might be a Builder or Landlord or Owner of the property. Like any Seller, you should expect to get the best price for your property. But do you know that there is a difference between Best Price and Right Price? The Right Price is what 90% of the Buyers are willing to pay for a particular property or something similar to it. Having Correct and Full Information about the market and analyzing that will help every seller to decide the right time for selling and fair price of selling.